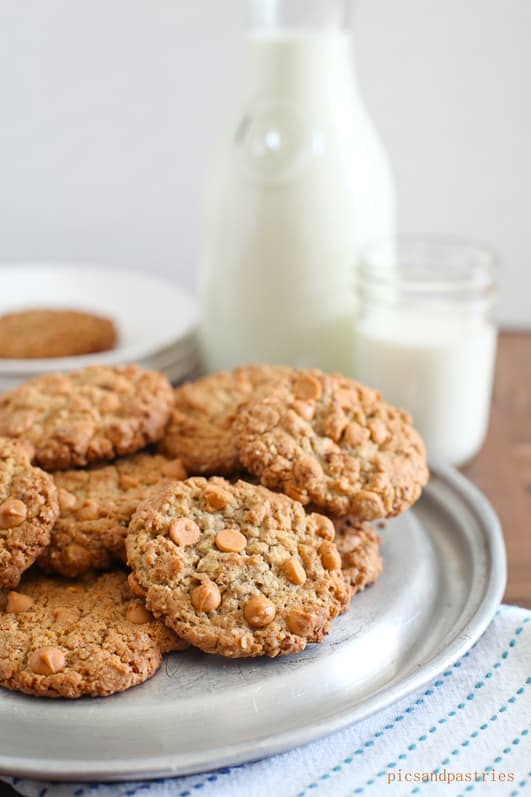 These crispy butterscotch oatmeal cookies with a nutty texture are delicious. A new favorite! 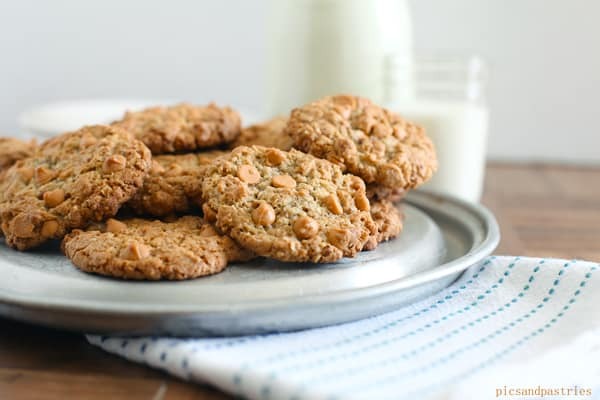 I love to find a new cookie recipe that I know I will use again and again. 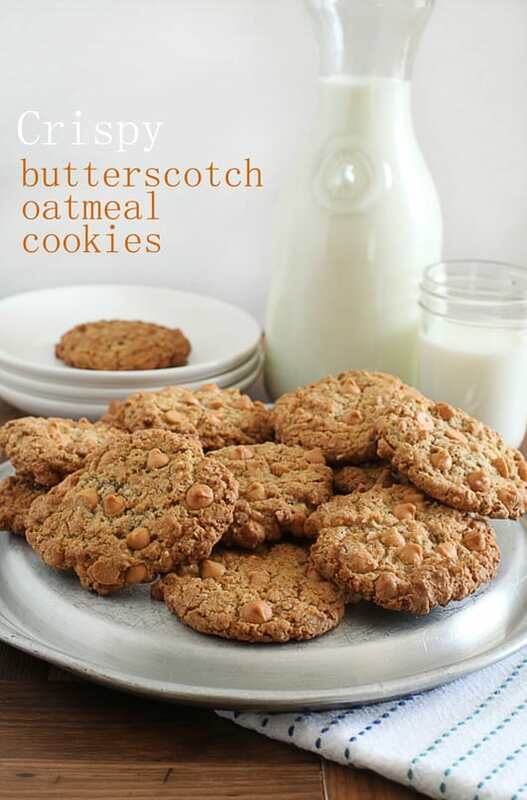 These crispy oatmeal cookies are just that. This recipe is from a church cookbook from my hometown. I love those cookbooks because they hold personal connections with them. I love flipping through them and recognizing a name and knowing that person is probably sharing on the their favorite recipes. I used my ninja to grind the pecans and that provides a great texture and the butterscotch morsels are optional but I highly recommend them. In a medium bowl combine flour and baking soda. With mixer on medium speed, cream Crisco with sugars until fluffy. Add eggs on at a time and mix until blended. Add vanilla and mix together. Slowly add the flour mixture to the sugar mix. About 1/4 cup at a time. Mixing on low after each addition. Spoon rounded tablespoons onto cookie sheets or roll into balls, then flatten. Bake for 8 to 10 minutes. Let cool 2 minutes before transferring to cooling racks. The baking time will vary depending on your oven and how crispy you want the cookies. I recommend anywhere from 8 to 12 minutes. Just found your blog and these cookies are gorgeous! Pinned! We’re making these now, and they are good! Noticed during the process, though, that your recipe doesn’t say when to add the oats, nuts or add-ins. I put them all in after the flour was mixed in, but I thought you’d want to know. Thanks for sharing the recipe!